New Hampshire's largest lake, Lake Winnipesaukee, covers about 70 square miles and includes over 253 islands, almost half of which are under a quarter acre. In the summer, many of these islands, including the second largest unbridged island, called Bear Island, are accessible only by boat. In winter, some islanders cross the lake by hova craft or snowmobile to continue to reside in their Winnipesaukee island home. Now that's love! Long Island and Cow Island are the largest and third largest islands, respectively. This view of the sunset from Cow Island only begins to capture the beauty of the Lake Winnipesaukee islands, which, since they were settled by Native Americans, have been a haven for nature lovers and those looking to seek an island home to better create their own vision of life, separated from the mainland by the joy, excitement, or solace (depending on the day) of a boat ride. This beauty is part of the reason why the Lake Winnipesaukee Islands are now known for their summer camps, picturesque cottages, and natural areas, many of which have been preserved through land trusts. Governor's Island, part of the town of Gilford, New Hampshire, boasts some of the finest Lake Winnipesaukee Islands real estate and an abundance of cultural activites in the summer. Browse Governor's Island real estate for all current listings. Rattlesnake Island, likely named for its shape and not because rattlesnakes once lived there, is well known for its land conservation, including beautiful hiking trails and pristine views. Rattlesnake Island is part of the town of Alton, New Hampshire and is the highest island on Lake Winnipesaukee in terms of total elevation. Six of Lake Winnipesaukee's islands are connected to the mainland by bridges. These include Black Cat, Governors, Long, Oak, Christmas and Worcester islands. Another eight islands, including Bear, Birch, Cow, East Bear, Jolly, Loon, Three Mile, and Sandy, receive mail via boat. Others, such as Whortleberry Island, are accessible only by private boat, popular for privacy seekers. To see the views for yourself, explore one of the Winnipesaukee Island webcams: Bear Island, Black Cat Island or Rattlesnake Island. 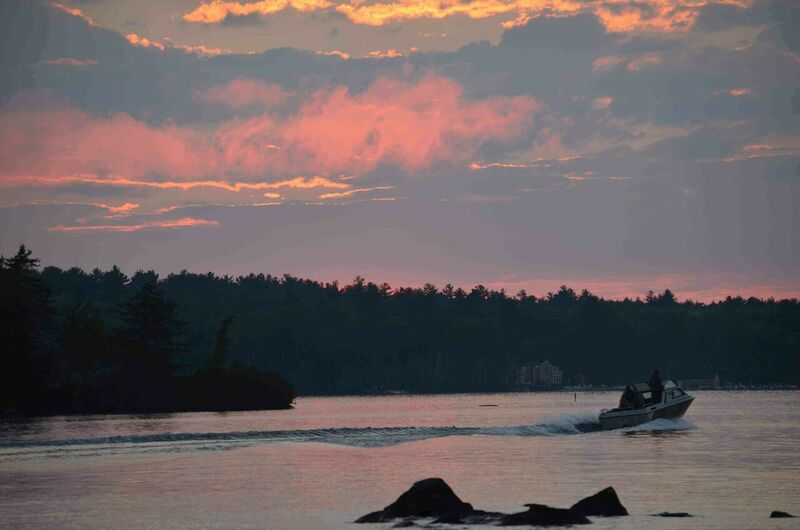 To learn more about Islands conservation and summer activities, including hiking, boating, and more, The Lakes Region Conservation Trust is a great resource. To find out more about Lake Winnipesaukee's Islands or inquire about current listings, contact me today. Having grown up here, I know the Lakes Region well and can help you find your perfect home in the Lake Winnipesaukee area.